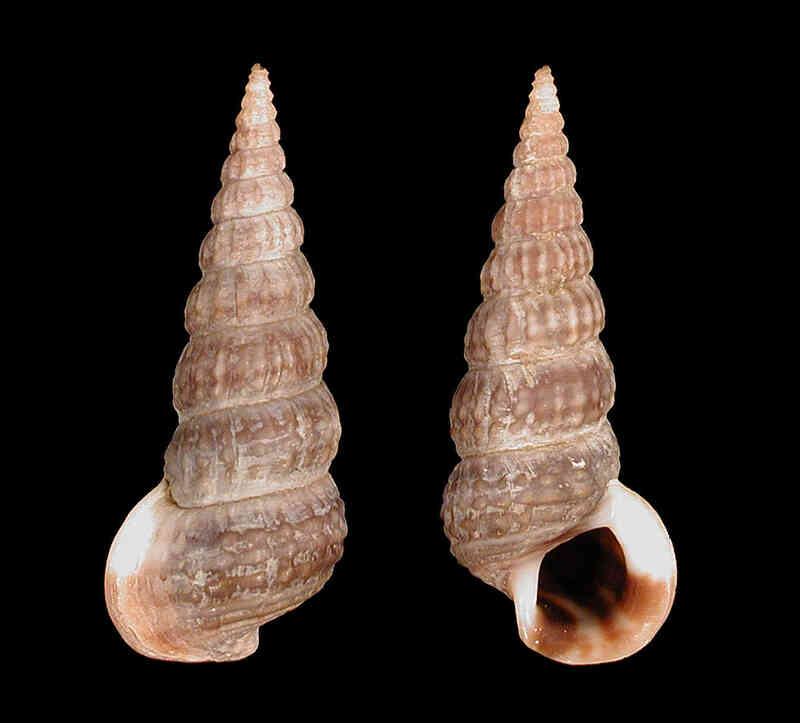 Shell size to 25 mm; shell elongate with rounded whorls. Sculpture of 20-26 axial ribs which stop abruptly at single, well-defined spiral cord below periphery of whorls. Aperture large, thick, with outer lip reflected. Aperture white internally, anterior ("upper") part of outer lip usually white, posterior ("lower") part with two or three brown bands. Background color Color pale-brown to violaceous, with two or three faint spiral bands. 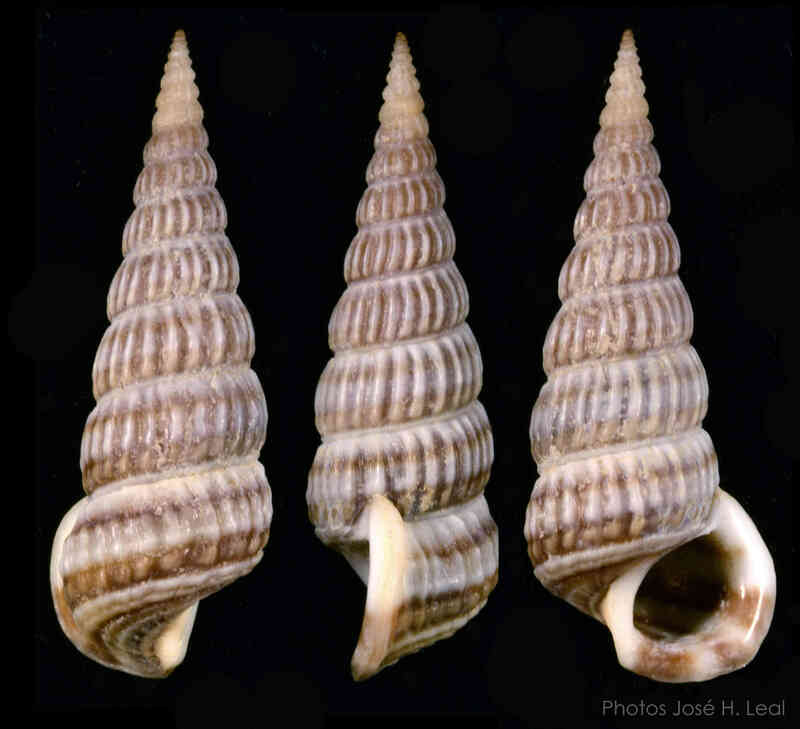 Shell in supplementary image shows a somewhat nodulose sculpture.